We certainly live in interesting times... from the ongoing political and economic uncertainty associated with the Trump presidency in the United States... to a heightened level of trade tension globally... to continued implications of managing high DON levels from the 2018 corn crop... to unprecedented levels of 'political noise' in both Queen's Park (Toronto) and Parliament Hill (Ottawa)... to Canada's upcoming fall federal election, I am sure that 2019 is going to shape up as a year filled with unprecedented changes, challenges and a few surprises for the agri business sector. It is during these ever changing and challenging times that the role of our association is more important than ever, and I sincerely thank the members for their continued support of the Ontario Agri Business Association. In the area of Government Relations, we continue to establish and build relationships with all levels of government. In late spring of 2018, Ontario's political environment changed significantly with the election of a majority Progressive Conservative government in Queen's Park. 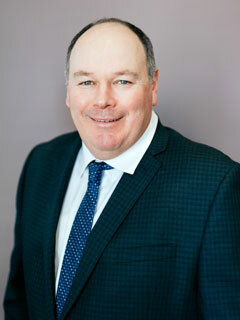 Since the election, the new provincial government has been focused on "undoing" a number of legislative initiatives from the previous government - these include cap and trade legislation and provincial labour legislation, however, OABA is also very pleased to see that a primary focus of the Ontario government is to reduce 'red tape and regulatory burden' in the agri-food sector. OABA is very well positioned to represent the interests of the agri business sector, and the broader industry with the new Ontario government, and can effectively utilize ongoing political relationships with a number of key rural MPP's who have assumed ministerial duties. Across Ontario's entire agriculture and food sector, there is a sense of renewed enthusiasm, and we look forward to working with the government during their term of office. OABA continues to place a priority on government relations as a necessary strategic initiative, and it remains imperative that you, as members, also become politically active. Reach out to your local MPP and MP, educate and inform them on the agri-business sector, and show them that the issues impacting your business are vital to Ontario's growth and prosperity. OABA continues to maintain membership in "The Presidents' Council", an Ontario-based agriculture and food organization that was formed in 2004 to serve as a forum to discuss the broad issues and challenges facing the industry. As an agri-food sector, we continue to see significant changes in urban/rural population demographics, and the influence of the 'urban-centric' consumer has become increasingly evident. Within this changing environment, the reputation and overall 'brand' of agriculture is coming under increased public scrutiny, as consumers are exposed to strategic marketing campaigns produced by non-farming, and in some cases, anti-farming stakeholders. These campaigns can create uncertainty and confusion about farming that can ultimately result in consumer fear. As agriculture loses control of its 'brand', we run the risk of leaving it to be redefined by well-funded special interest/activist groups or corporate interests with strong and narrow focused agendas. Within this changing environment, it is essential that all segments of the agri-food value chain can unite and deliver clear and consistent messaging that focuses clearly on consumers. OABA is very supportive of the initial steps of the Presidents' Council to respond to this current environment by examining the opportunities to build a strategic "Ontario-Wide Food Movement" that will target the support and trust of consumers with modern day agriculture and food production. 2019 marks the seventh year of OABA's Environmental Compliance Project, a collaborative initiative with the Ministry of Environment, Conservation and Parks (MOECP). The objective of this project is to develop a streamlined approval process that would permit agri business facilities to meet Ontario's compliance standards for dust, odour and noise in a more predictable and cost-effective manner. The steering committee is now pursuing the development of 'technical standards' as a possible solution to address airborne emissions for agri business operations. In recent years this project has been unable to gain momentum, and we are cautiously optimistic that the change in provincial government may be positive to advancing our discussions with MOECP. A cornerstone activity of OABA is to develop and deliver products, programs and services for members that 'add value' to agri business firms operating in the crop input, grain and feed sectors. In this area, the Association continues to be active in the area of Human Resources through the development and delivery of Introductory and Advanced Lead Hand Training for the membership. As part of the added value in the area of member operations, OABA maintains a licensing agreement with TwoGreySuits™ that provides all members with access to professional human resources services on a 24/7 basis for no additional cost. During the coming months, the 2019 edition of OABA's bi-annual Employment & Compensation Benchmarking Survey will also be conducted. These activities provide an excellent return on investment for the OABA membership. OABA continues to maintain and develop a partnership with ACUTE Environmental & Safety Services in Waterloo that provides the membership with access to expanded health and safety resources and training. With this new partnership, ACUTE offers OABA members access to full-day and half-day training opportunities at their Waterloo training facility, as well as on-site training at member locations. In both methods of training, ACUTE Safety Training provides preferred pricing to all OABA members. Member feedback of this new delivery model for health and safety training has been excellent, and we look forward to continuing this value-added partnership with ACUTE in the coming years. I would like to thank the volunteers and staff for their commitment to both the Association and the advancement of Ontario's agri business sector. The effective combination of volunteer expertise on the Board of Directors, Crop Inputs, Feed, and Grain Section Committees, along with a dedicated and professional staff consisting of Joanne, Tracey, Ron and Dave, positions OABA as a strong leadership organization that effectively represents and advances the interests of our membership to other industry stakeholders including government, producer groups and consumers. In closing, I would like to thank the Board of Directors and the membership for the honour and opportunity to serve as President of the Ontario Agri Business Association, and wish all members continued success throughout 2019.